Our society is characterised by an ever greater strive for growth and technological progress. 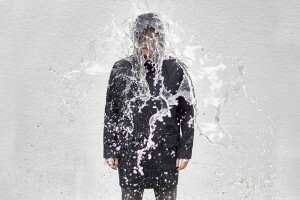 This development has long reached the fashion industry as well and the use of modern functional materials has rather turned into a struggle against nature – even though natural materials are often the best advisor when it comes to different weather conditions. 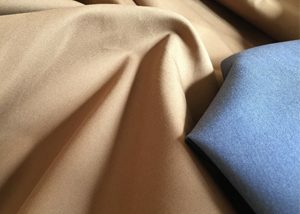 There is one material in particular that convinces with its high wearing comfort, resistance as well as adaptability to extreme temperature differences: cotton. 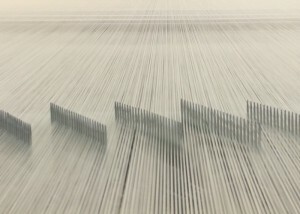 To manufacture CottonShell fabrics, a special method is used to weave long staple cotton fiber at an unusually high thread density. When exposed to water, the usually yarn-died fiber swells slightly and condenses the fabric to make it waterproof up to 800mm while remaining highly permeable to water vapor. These characteristics provide an excellent protection against wind and weather and make the material the perfect companion on rainy days in the city, at the sea or in the mountains. 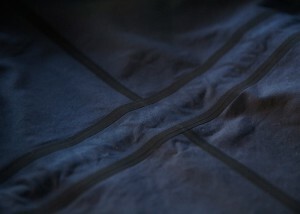 We’ve been working on a variety of different seam sealing tapes to complement the function of the fabric. Using our CottonShell Seam Sealing Tape ensures that no water can enter through cut seams, keeping you dry longer. CottonShell provides different types of tapes, matching in color and material, as well as tapes made from the original outer fabric to meet both, high functional and aesthetic aspects. As a wind and weather protection material for rainy days, CottonShell follows the philosophy of the so-called “application-oriented engineering”. As a logical consequence, the production of the weave foregoes the use of chemicals containing fluorocarbons to enhance the water-repellent surface treatment (DWR, Durable Water-Repellency). CottonShell Fabric is woven from long staple cotton fibres and gets its downproof character from the thread density typical for CottonShell. 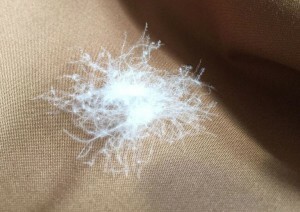 CottonShell PFC free water-repellency technology protects the light cotton material from moisture. Combined with natural down feathers, CottonShell Downproof offers maximum climate comfort and heat retention properties. We’ve tested CottonShell in the lab. However, the greatness of it isn’t in the lab results. It’s in the noticeable difference of wearing it: CottonShell is more breathable than any other material at a comparable level of water resistance. This helps you sweat less on the inside while still keeping dry and protected from the weather on the outside. Please refer to our Products page for more information or visit our Journal to read and watch the latest CottonShell Stories.